The Rector of the Republic (Selucian: Rector Rei Publicae) is the head of state and head of government of Selucia. The Rector directs the executive branch of the central government and is the commander-in-chief of the Selucian Armed Forces . The office of Rector was initially established in 4478 after the unification of the positions of Consul and Caesar following a legislation proposed by the Party of National Unity and supported by the Republican Party and the Labor Party, with the sole opposition of In Marea-Civis Sinistram. The first holder of the position was Tiberius Gaius from the Labor Party, while the current one is Prometheus Cleareta from In Marea-Civis Sinistram. The powers and responsibilities of the Rector are defined in two constitutional amendments, the Law on the Rector of the Republic and the Law on the Princeps Senatus and the Leader of the Opposition. As a republic with a presidential executive, Selucia grants considerable powers to the Rector, including effective control over the executive branch and the execution of national law by directing and removing executive officers, the right to represent the country abroad, and the power to act as commander in chief of the armed forces. As a presidential republic Selucia has a strict separation between the legislative and the executive branches, however the Rector enjoys a small number of legislative powers, generally exercized through a subordinate executive officer, including the power to propose budget, taxation and spending bills, to create treaties, to propose treaty ratifications, and to request approval for military and infrastructure purchases. The Rector can commit the armed forces into conflict, but is required to obtain authorisation from the Senate for the use of force in conflict through a formal declaration of war, except for cases of "extreme emergency", when the Rector is required to notify the Senate within 48 hours of the commencement of hostilities. 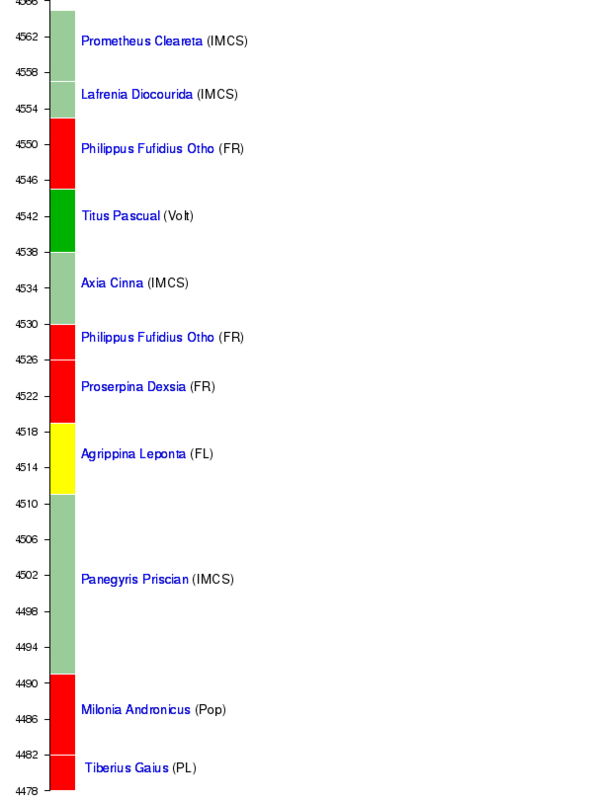 The Selucian Line of Succession of 4423 and its amendment provide that if the Rector has left office or is otherwise unavailable to serve during their terms of office, the Rectoral line of succession follows the order of: Princeps Senatus (Luthorian: Speaker of the House) and then if necessary, the eligible heads of executive departments who form the Rectort's Cabinet. The Cabinet currently has 12 members, of which the Minister of Foreign Affairs is first in line; the other Cabinet ministries follow in the order in which it was regulated by the law. Those department heads who are constitutionally ineligible to be elected to the Rectorate are also disqualified from assuming the powers and duties of the Rectorate through succession. No statutory successor has yet been called upon to act as Rector. Aditionally, in October 4505 the Indran Law on Impeachment was approved, stablishing the procedure to follow in order to remove the Rector or any of their Ministers from the Cabinet. Legislatures marked in red did not provide a new Cabinet appointed by the elected Rector.